As the people who followed my lore thread might have guessed, I have a thing for the quirky, slightly absurd cars. Nothing makes me happier than seeing a Multipla proudly riding through town, so how can I justify driving some Deutsche Qualität, luxury vehicle ? Well, it’s a V8, and I live in France. For you americans, a V8 in France is about as common as a Yugo in the US. 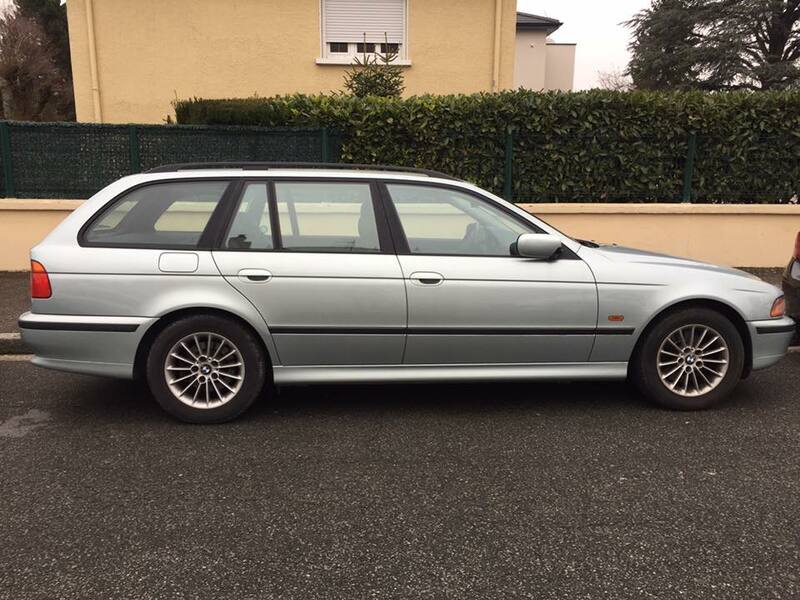 With taxes on large displacement making a comeback lately, with gasoline costing around 6$ a gallon, and living in the centre of a large city, having a 4.80 wagon with close to 300 hp is slightly absurd. But then, at the price of a used city car, I bought myself something that, in power, gas economy, and footprint, is close to three city cars ! Look there’s some boring banker with his grey BMW 518 diesel Touring. Now, one day I hope I’ll be able to get myself a E61 M5 (and to pay for its maintenance costs… So, a distant perspective). Ni a diesel fuel is like 7$/gal here, where the f do you live? diesel fuel is like 7$/gal here, where the f do you live? Gasoline is about 1.5€ per liter here in France, which actually is more like 6.5$/gal. Lol here in California, the most expensive state for gas besides Alaska and Hawaii (for obvious reasons,) gas is around $3.59/gal to $3.99/gal depending on where you go, or translated to European, 0.82/liter-0.91/liter euros. National average is $2.85/gal, or 0.65/liter euros. And we think that’s high. National average was about $1.70/gal in part of 2015, or 0.39/liter euros. So, in Australian terms, you’re paying $1.43/L. Might have to move there. Filled up a few days ago, guy behind the counter told me that 5 minutes earlier, the price went up by 22 cents/L (effectively 16%). To make the numbers even more fun, exise back in 2016 was (Aus) 40c/L = USD $1.13/ U.S. Gal (then there’s the 10% GST on top of that). That is a decent mix of pace and practicality. Enough said.